Upgrades from CRT based displays and monitors to HDTV have been rapid; As HDTV technology continues to mature, consumers will begin to update the 2nd and even 3rd TV sets to HDTV. HDMI is the de-facto standard in connecting an HD source to the HDTV. In some special applications, particularly with projectors, the cable lengths can exceed 50 feet and require specialized connectivity solutions. Here we will present some solutions for distributing HDMI over long distances. In applications where HDMI cabling is readily available and easily installed, a convenient solution for extending HDMI reach is to install an HDMI Extender at the end of the HDMI cable. Most HDMI extenders work by adaptive equalization and compensate for frequency-varying signal attenuations, and timing skew. For most applications where connection lengths are between 35 to 75 feet, using an HDMI Extender is recommended. It is possible to distribute HDMI over a pair of standard Ethernet cables by using an HDMI to Ethernet converter. The HDMI Ethernet converter enables transmission of 1080P HD HDMI digital video and audio over a pair of standard Ethernet CAT 5/6 cables. 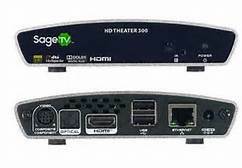 Using an HDMI over Ethernet Transceiver allows installers to use standard CAT 5/6 cables for ease of installation. -Ethernet cables and connectors are easily field terminated, thus allowing installers to quickly install the proper length cable; This allows for ultimate flexibility and eliminates the logistics problems of having custom length HDMI cables. There is no need to pre-measure and customer order cables. -Allows transmission distances of 300 feet (1080i) and 150 feet (1080p) over Ethernet cables. CAT 6 cable is recommended for 1080P and best performance. As the HDTV market continues to mature, consumers will need to be educated regarding the available HDTV video connections . We have presented some possible solutions for distributing HDMI over long cable runs, so the consumer can make intelligent choices in selecting the most appropriate HDTV video connections. Article Source: ArticleBase by Author Jeffrey Su .